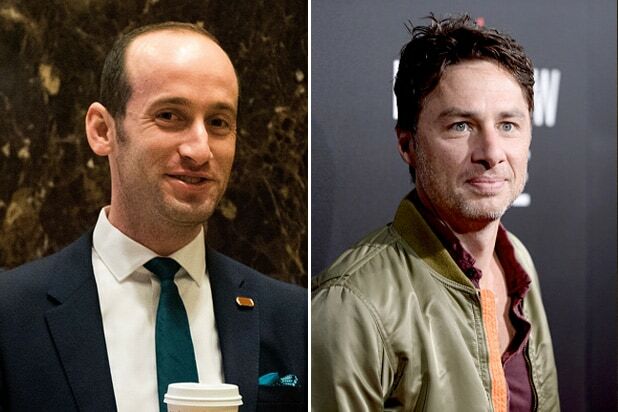 Zach Braff wants “Saturday Night Live” boss Lorne Michaels to know he’s interested in playing senior White House advisor Stephen Miller so much, he took to Twitter to let the world know he’d shave his head for the gig. Miller appeared on numerous talk shows on Sunday to defend Trump’s travel ban and criticize the court that ruled against it. Braff apparently feels he’d do a good job making fun of Trump’s adviser. “SNL” has mocked just about every prominent figure in the Trump administration, so it is safe to assume that Miller is next on deck. However, public lobbying doesn’t always work. Rosie O’Donnell recently changed her Twitter avatar to resemble Steve Bannon, but it didn’t result in a gig on the show. At least not yet. Meanwhile, Melissa McCarthy played Press Secretary Sean Spicer for a second time last week, while Alec Baldwin plays Trump and Kate McKinnon channels everyone from Kellyanne Conway to Jeff Sessions. The Trump administration has helped “SNL” soar to its highest overnight metered-market household TV rating since January 2011. 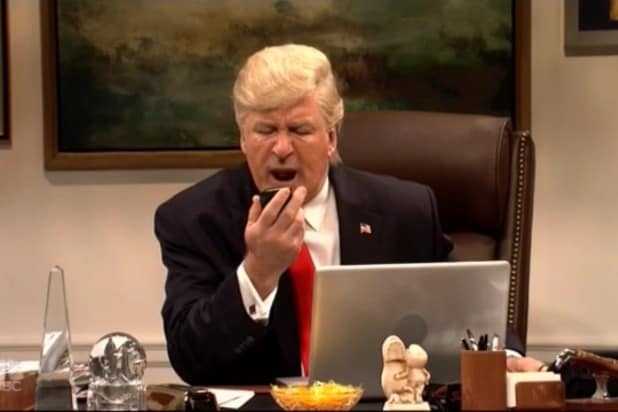 Saturday’s show, featuring host/Donald Trump impersonator Baldwin and musical guest Ed Sheehan, earned a 7.2 rating/18 share from the 56 metered markets, according to Nielsen’s very preliminary overnight numbers. The show scored a 3.6/18 among adults 18-49 in the 25 markets with local people meters — that age-range is broadcast TV’s key demographic for entertainment programming.